…this scream/cry was fake. 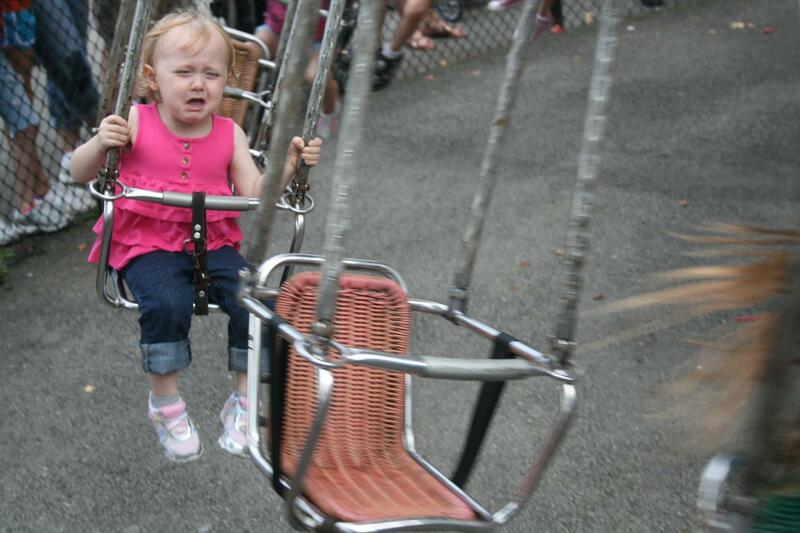 She thought you were supposed to be sad and scared on the swings. Not sure what that was about, but both times on the swings this happened. 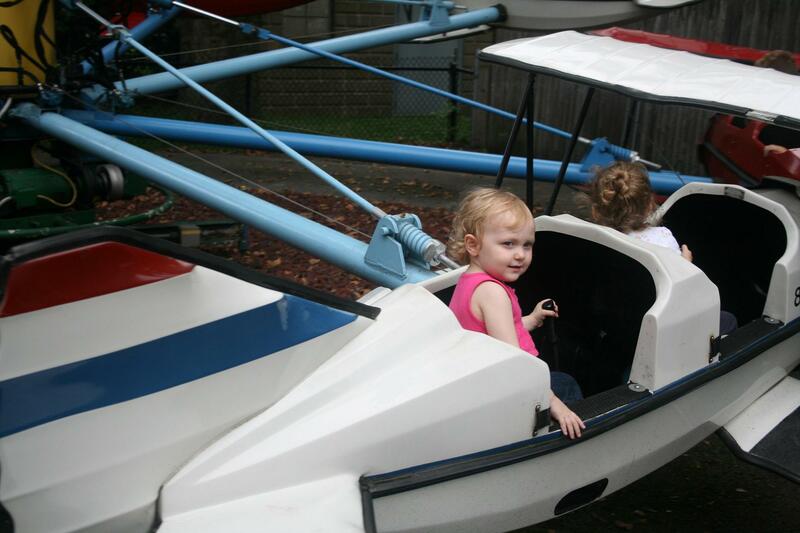 Our ‘lil Miss A and the girl she was paired with on white plane 8 were not quite strong enough to get their plane up high in the sky. Maybe next year!